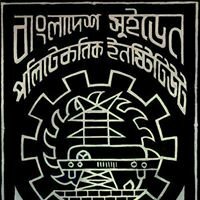 The Present “Bangladesh Sweden Polytechnic Institute” as before “Sweden Bangladesh Institute of Technology” was established at Kaptai in 1963 in the name of the “Swedish Pakistani Institute of Technology”consequent upon a bilateral agreement between the Government of then Pakistan and the Royal Swedish Government. A Swedish construction company named “SENTAB” was build the whole project on behalf of Royal Swedish Government .Two more institute of same type have been established under the same programme ; One in Landi near Karachi (In 1957) and one in Gujrat (in 1965) of West Pakistan. The present institute at Kaptai was the result of the movement of “Bangali” students (aprox 30 ) who were studying at Karachi Institute in 1958. In that time it was very expensive to go Karachi by aero-plane for study .So they claim their demand to Mr.A.K.Khan the former minister of Industry of central government of Pakistan to establish an Institute in East Pakistan . 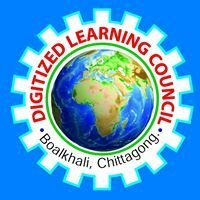 After many meeting the minister agreed with them and pursued with the government to establish such type of institute at Kaptai. The objective of its establishment is to train up Co-Engineers who work with professional engineers and scientists and in most of the cases; take up in-dependent responsibilities in production, installation, operation and maintenance of complex equipments. The Institute has actually planned its courses in the line of Polytechnic Institutes with additional facilities for practical training of greater magnitude so that the products of this institute can come out with a skill in certain specialized industrial process along with an understanding of the principles under-lying the processes. The ultimate aim of this institute is to fill up the gap of specialized supervisors in mass production systems and to establish new specialized production units independently if they have sufficient financial back ground.